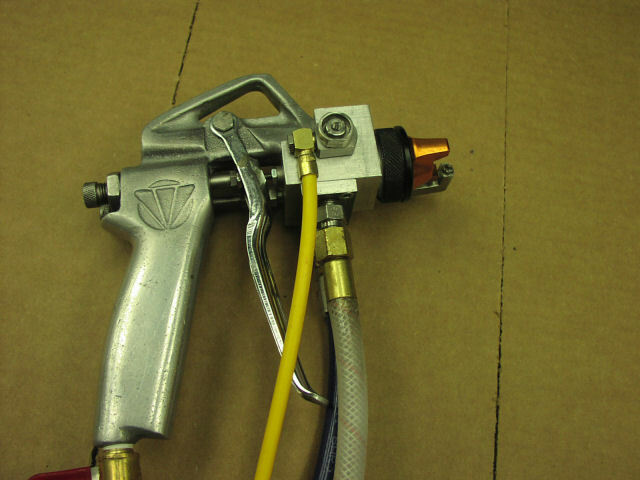 FRP Equipment has developed a continuous Spray Metal process that is also known as Cold Metal Spraying. 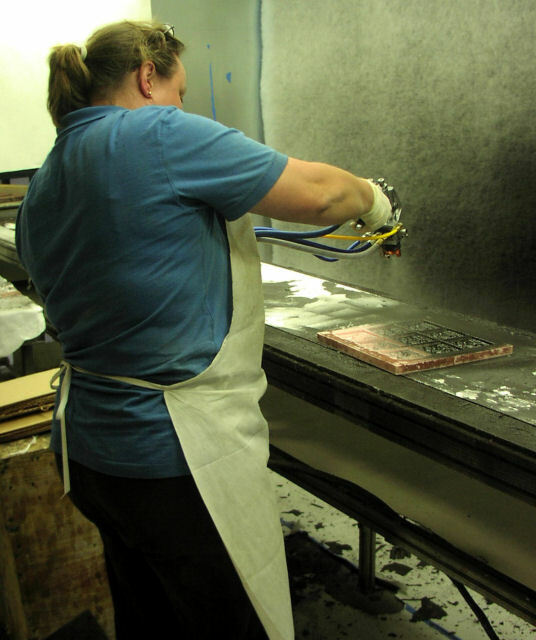 Typically, fine metal powder is mixed with a Polyester type of resin or Gel Coat and catalyzed with MEK Peroxide. Since the metal powder is so much heavier than the resin, it does not stay in suspension very long so it must be mixed and sprayed in small quantities such as one quart at a time. If you wish to do any type of extended spraying, you are usually faced with constantly mixing small quantities and cleaning up each batch. 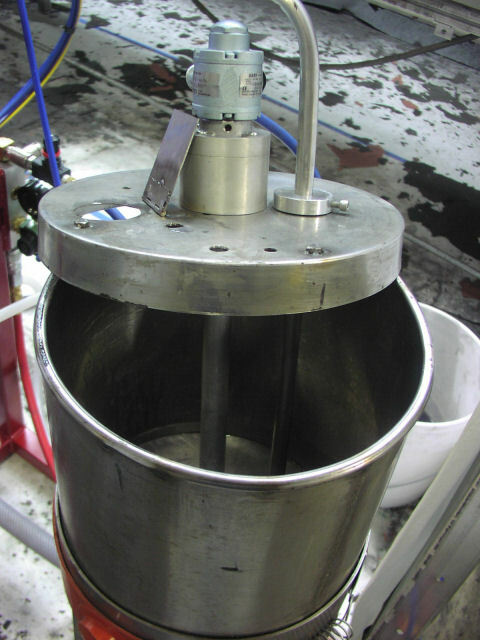 With the FRP unit, you mix up batches of 5 gallons at a time and quickly pour it into a Stainless Steel cone-outlet hopper. 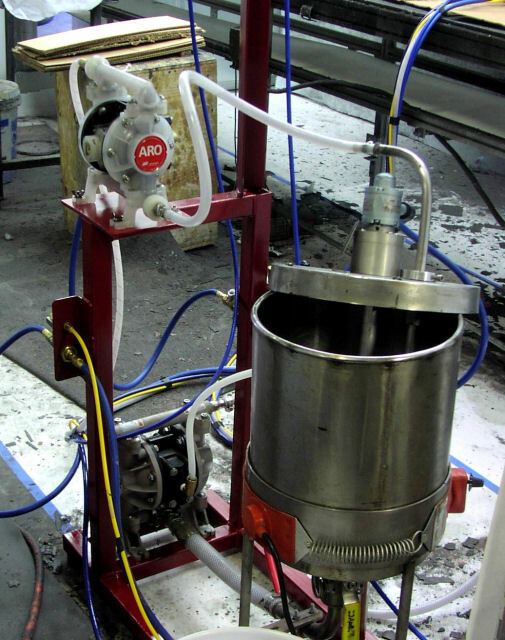 A unique system of dual circulating pumps along with a dispersion type mixer, assures that the material is kept in suspension. 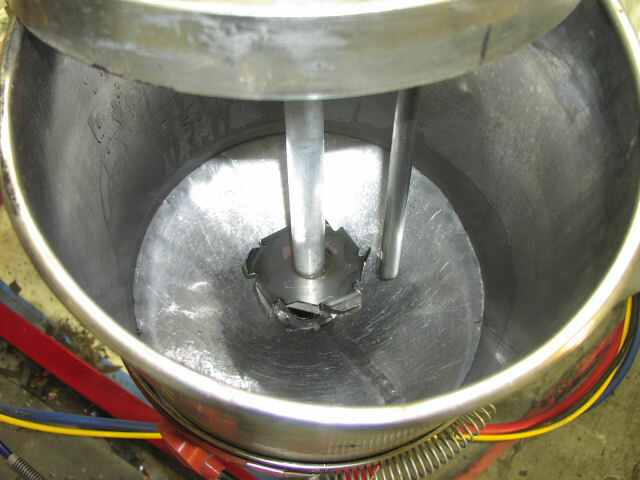 One pump pulls the material down through the bottom of the hopper cone, past the dispersion blade to keep it broken up, then recirculating back into the top. This keeps the material in the hopper in constant suspension. The second pump siphons the material from the hopper and recirculates it up the hose and through the gun where it returns back to the hopper. This makes sure that the material does not settle in the hose. 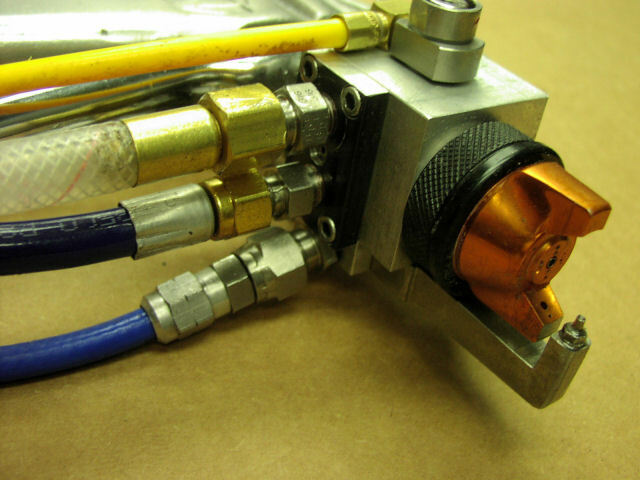 The spray gun atomizes the material and mixes catalyst externally. A solvent flush button on the gun purges the small dead spot in the gun that would otherwise plug up rapidly. 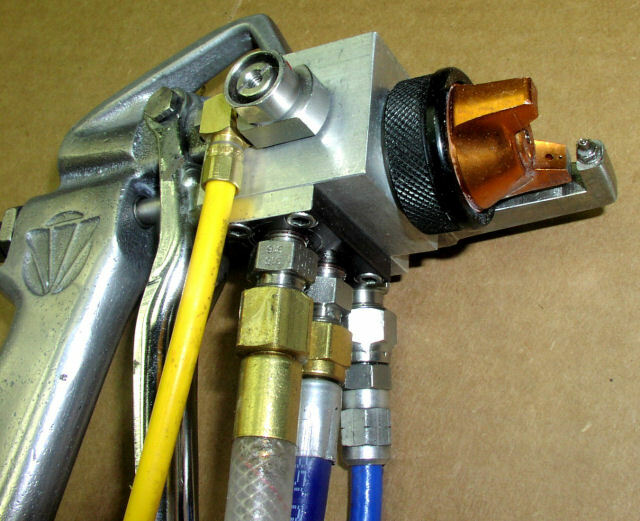 This all provides a trouble-free system for continuous spraying of ,what normally is a very difficult material to process. This is usually sprayed into silicone molds then back-casted with filled polyester or urethane or similar. When the part is de-molded, it can then be post-finished to bring out various effects. 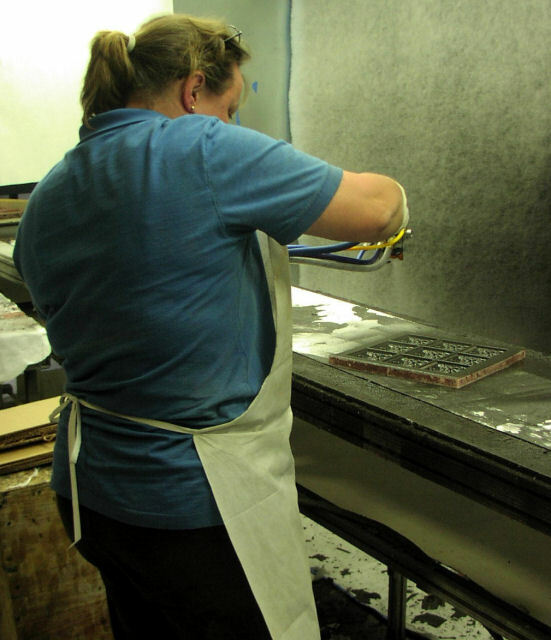 This process can also be used as a topcoat to gain a real metal surface on a variety of substrates. This can also be used as a process to apply an anti-fouling coating on boat hull bottoms.